Cards Against Humanity is a party game in which players complete fill-in-the-blank statements using typically offensive, risque or politically incorrect words or phrases printed on playing cards. Each player gets ten cards with the words to fill into the statements. One player is the Czar who decides which filled statement is best not knowing who made it and the one who made the choosen statement gets a point. After the round, a new player becomes the Czar, and everyone draws back up to ten cards. Our neighbour Tyra Sciarri has set up a cards against humanity table on their island and she invited us to use it whenever we like to. 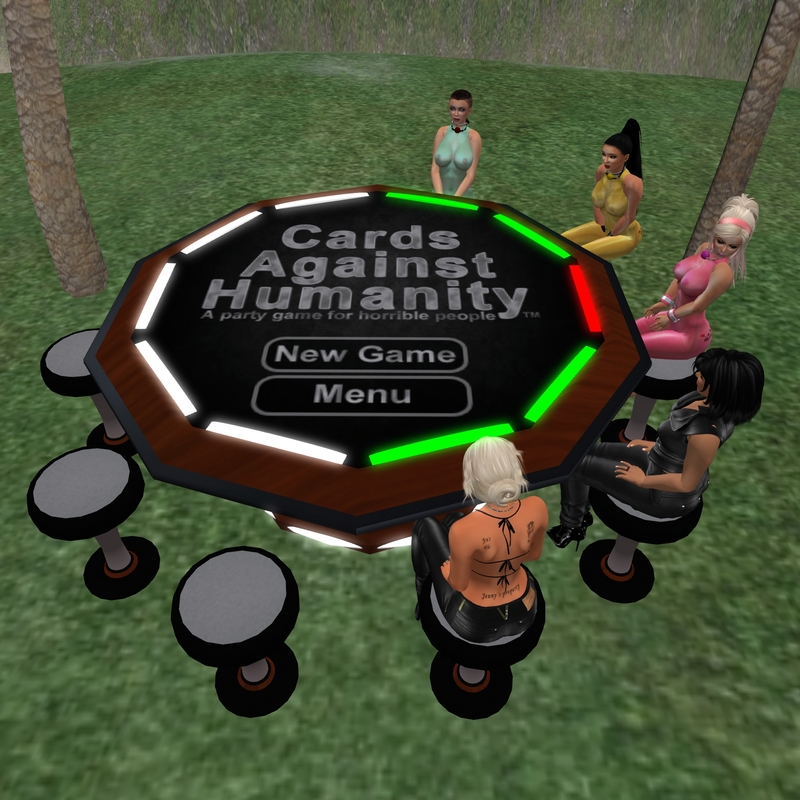 Actually this game could be adapted for Second Life very easily and works perfect. Playing is a lot of fun and provides reason for banter and chat. Thursday night slavin C proposed to play it again and we had a great night, just playing. Jenny won the game but it was a close game and winning it was not the focus but the fun.